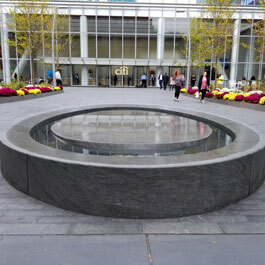 The lights surrounding the water feature were added to call attention to the plaza at night, and reflect against the granite and water of the fountain. 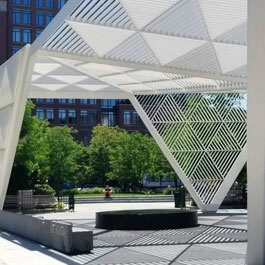 The dedication plaza designers hired Delta Fountains as the water feature consultant and supplier. 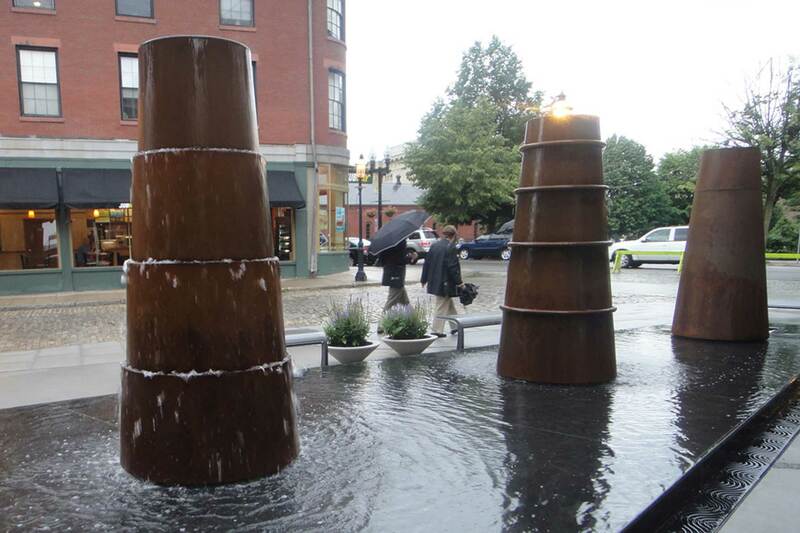 The unique water features each of the pillars represent created a fun splash area for Lowell's children. 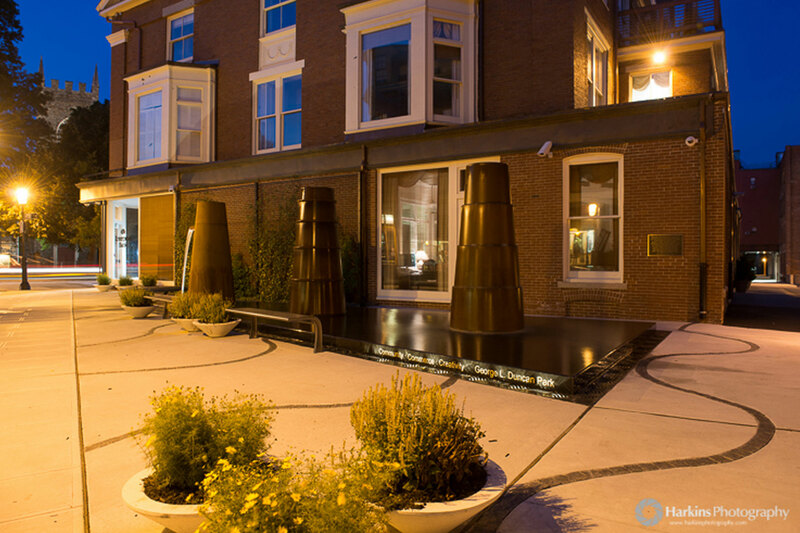 George L. Duncan Plaza sits between Lowell’s Old City Hall Buidling and the New England Quilt Museum within the heart of the Lowell Historical National Park and the Lowell State Heritage Park districts. 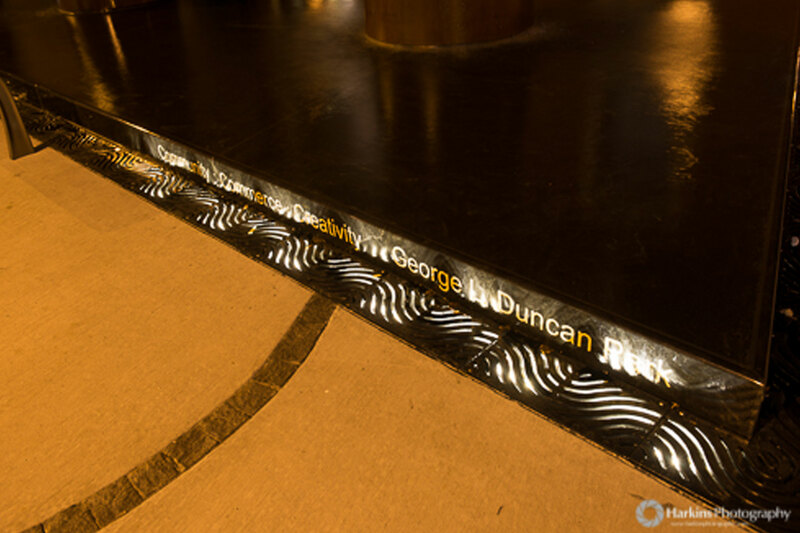 The Plaza is dedicated to Enterprise Bank Founder, George L. Duncan, who is recognized for making significant contributions to the city over many decades. 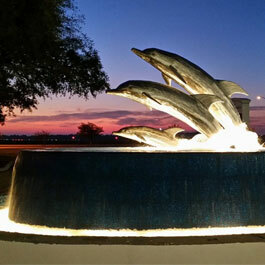 Delta Fountains was the water feature consultant and equipment supplier for the dedication fountain. 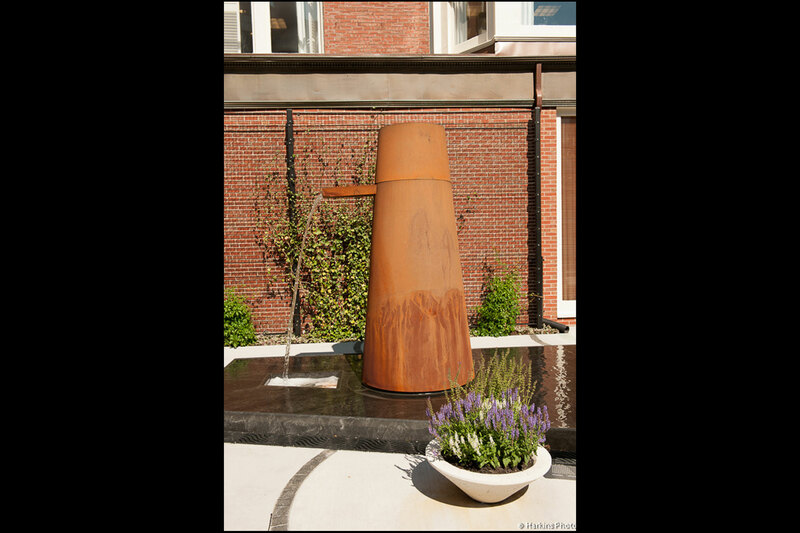 The fountain is composed of a series of 3 custom-designed weathering steel “Stacks” which represent Lowell’s iconic smokestacks constructed during its industrial era. 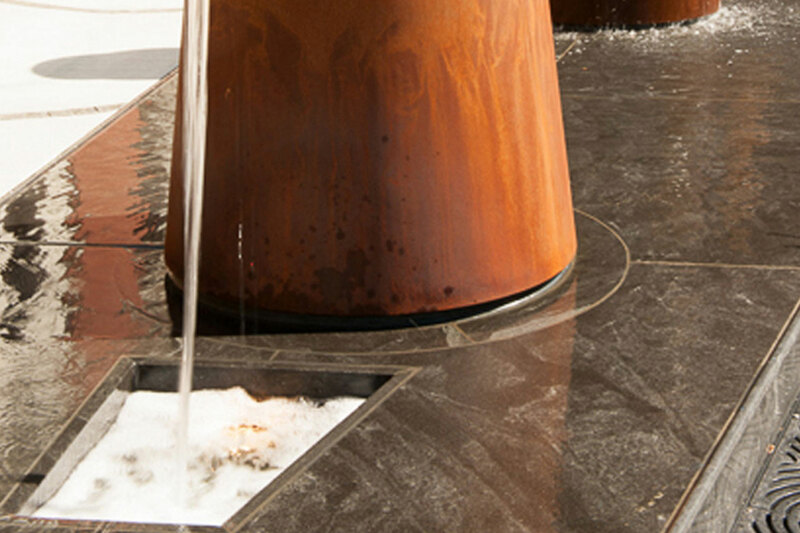 Each of the Stacks is designed with slight modifications to allow water flow to be expressed differently – Pour, Spill, and Cascade. 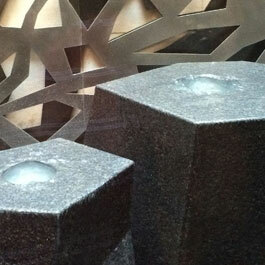 The raised plinth of the fountain supports a shallow sheet of water flow to a perimeter runnel. 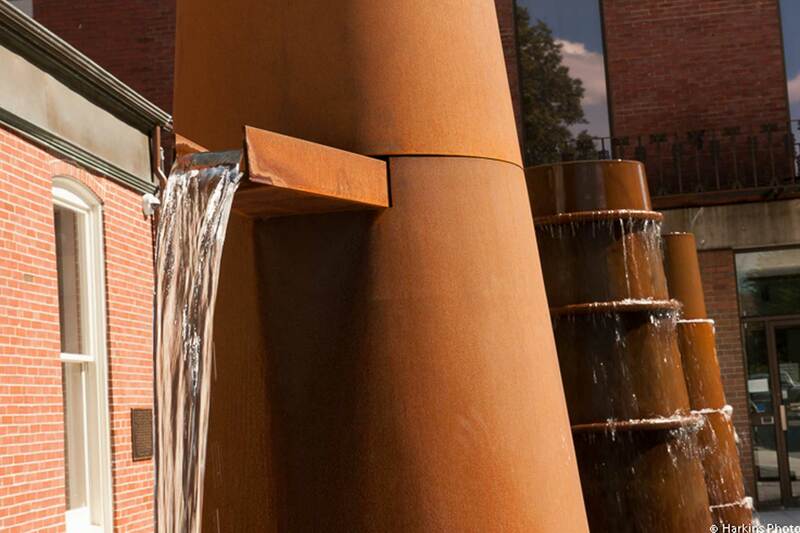 All these expressions are intended to celebrate the many ways in which water moves throughout and around the city’s hydraulic systems such as canals, spillways, and waterfalls. 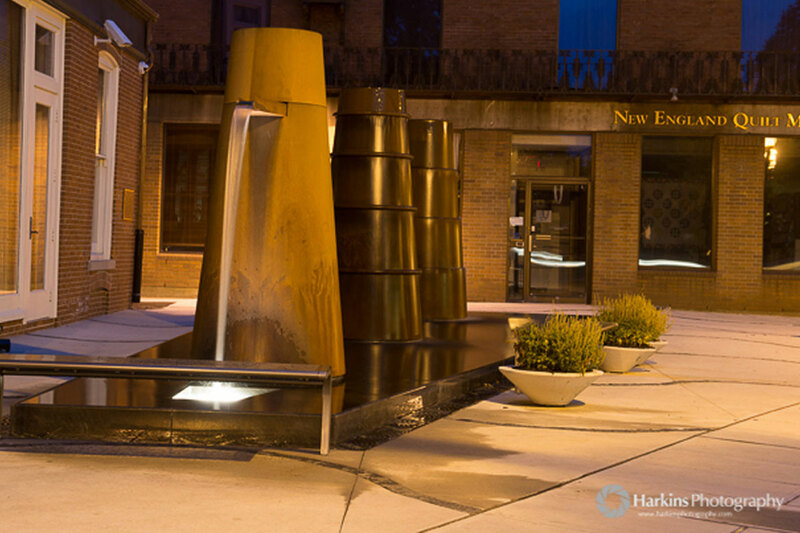 Lighting was incorporated into the fountain to bring attention to the corner of downtown Lowell at night. 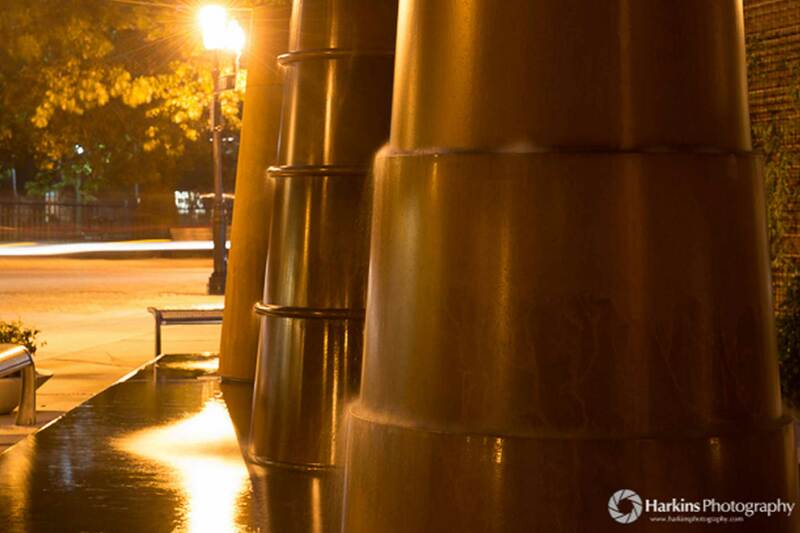 A special thanks to Harkins Photography for the photos.